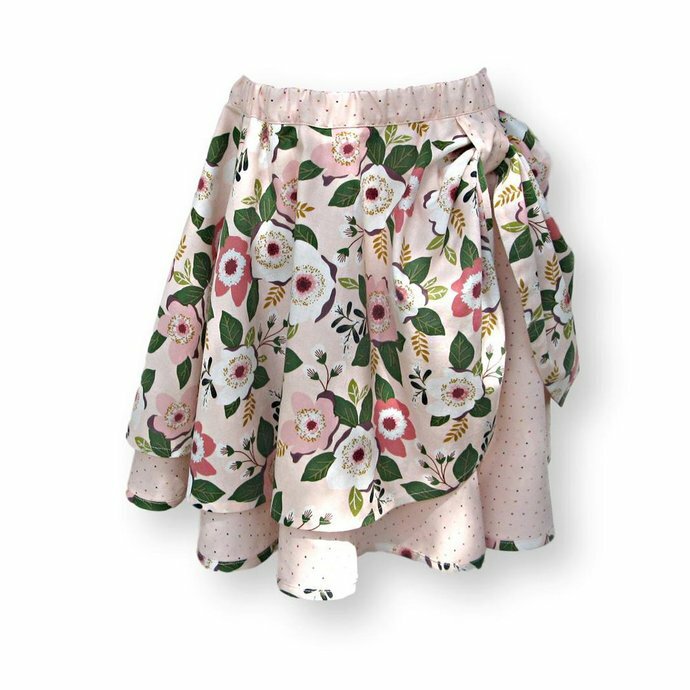 Modern above-the-knee child's/girl's size 6 pink floral cotton, layered pull-on full circle skirt with an elastic waist. 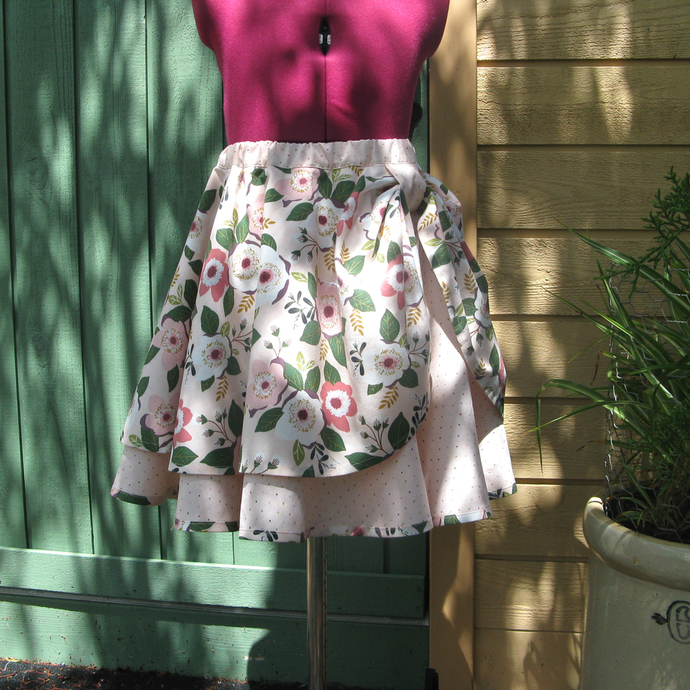 Handmade in the Texas Hill Country. 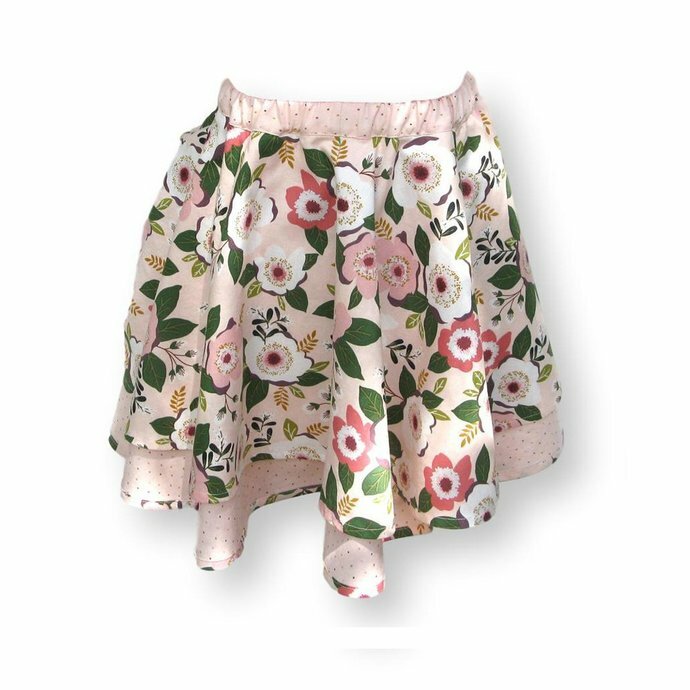 This modern boho twirl skirt is constructed of two layers of coordinating 100% cotton apparel fabric. 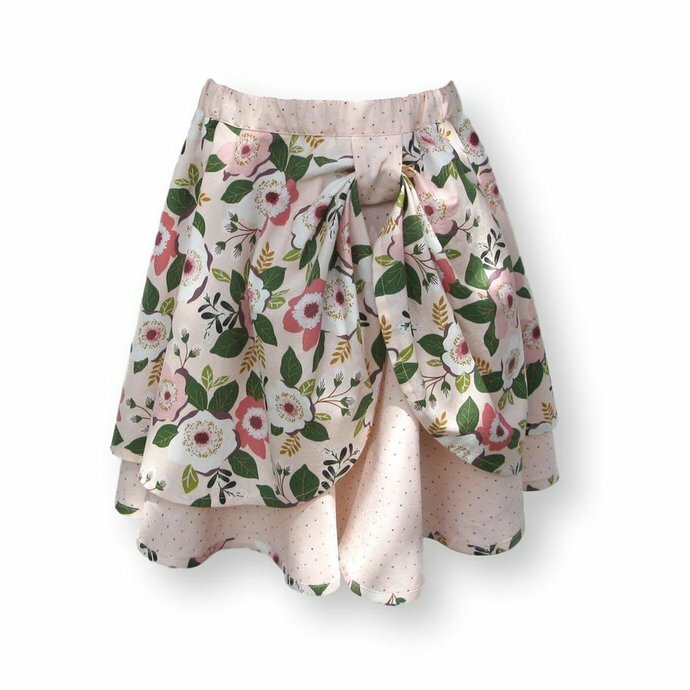 The draped overskirt (top layer) boasts a floral pattern with a pale pink background and is secured at the left side with a fabric loop. 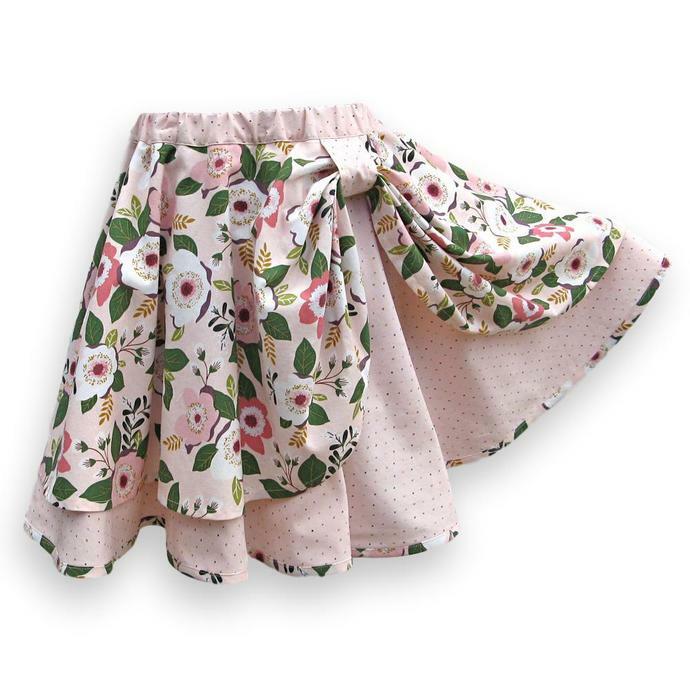 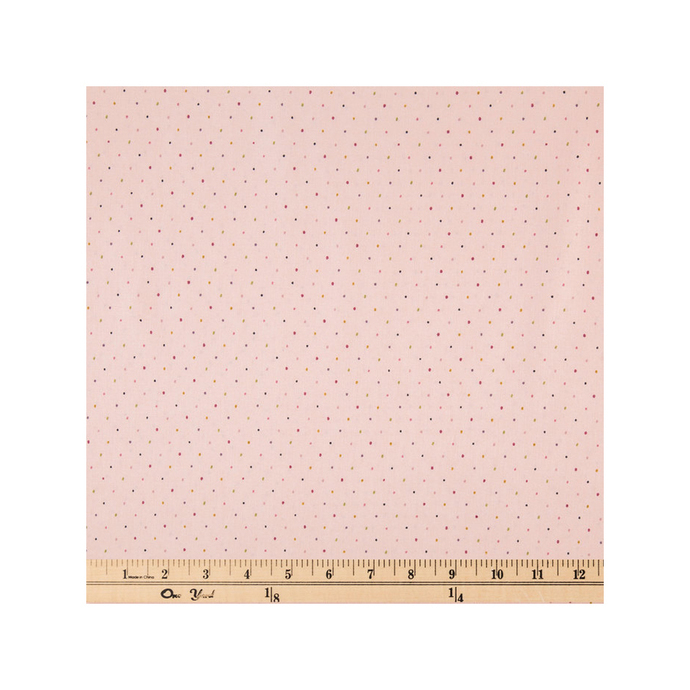 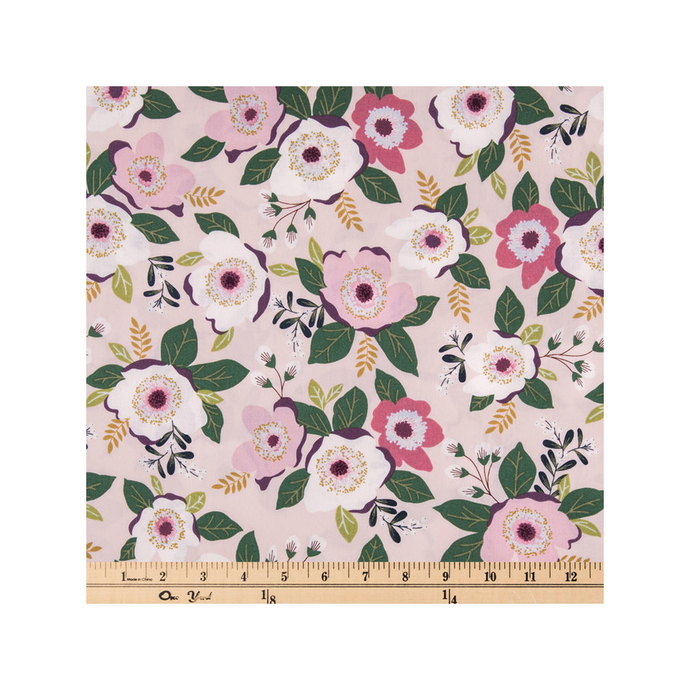 Underskirt (bottom layer), waistband, and fabric loop features multi-colored dots on a soft pink background. 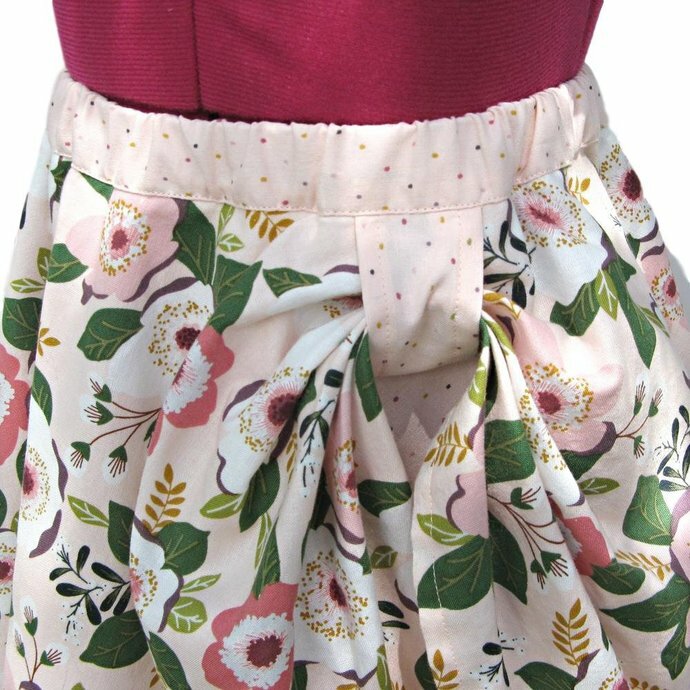 The underskirt is hemmed with contrasting binding that matches the floral overskirt fabric.